I wanted to end my running streak where it began, Central Park in NYC. 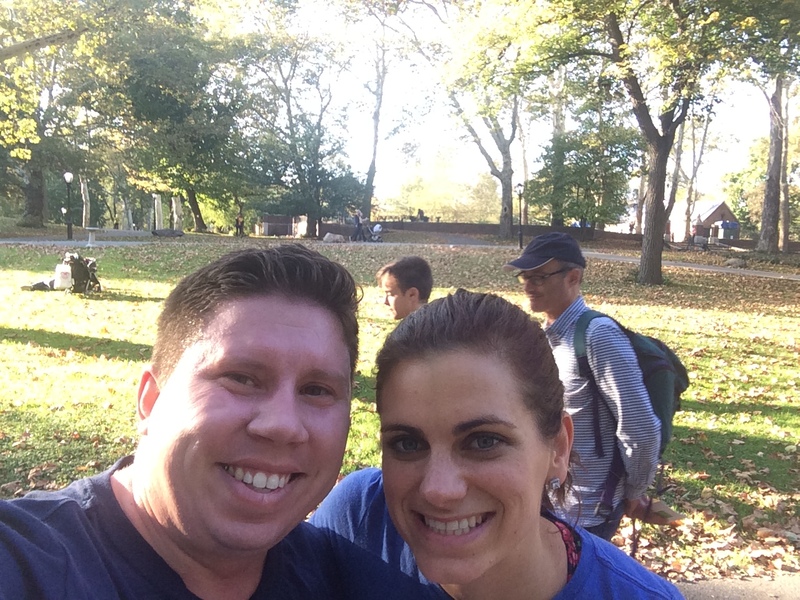 Last year on October 25th my friend, Lizzie, and I went to NYC and ran in Central Park while we were there she didn’t know at the time but I was starting a run streak. Heck at that point I wasn’t sure I was going to; 365 days seemed like such a long time. The next morning at breakfast I told Lizzie about my idea of a run streak and that I was becoming a vegetarian. I’m not really sure what she thought, but I do remember her telling me that is was great that I was becoming a vegetarian but I needed to eat healthy as well. Advice I followed over the last year. On Friday I woke up early before work and ran, I wouldn’t have time later. Lizzie and I were taking the train to NYC and had dinner reservations at 2200 hrs. 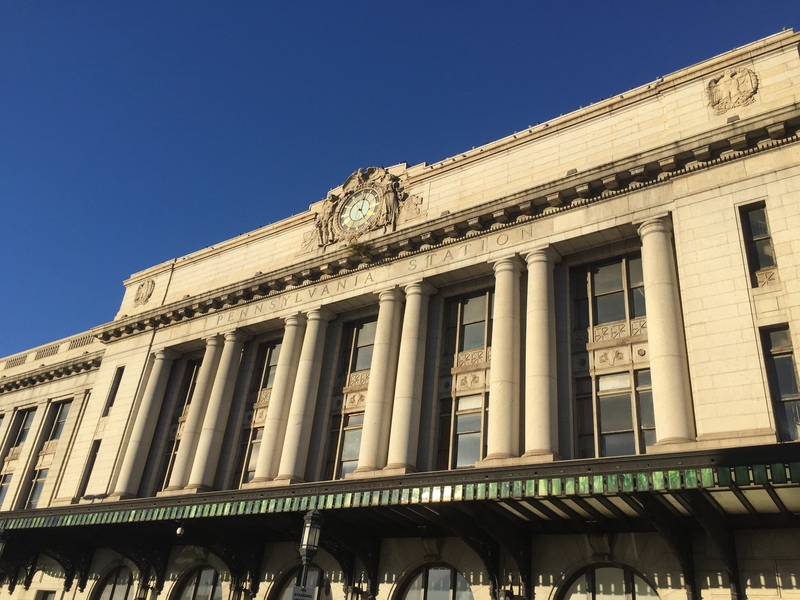 The train ride to NYC was pretty quick and painless, last year we took the bus and that was rather interesting. Once we arrived we walked to our hotel, changed, and walked to dinner. We had made reservation 3 months ago and had been looking forward to dinner for quite some time. 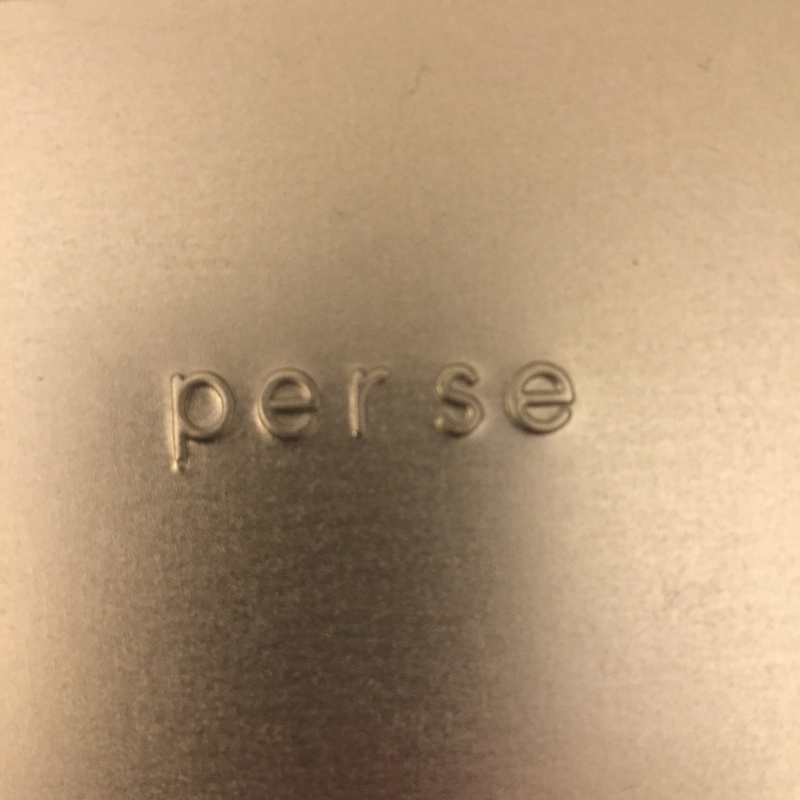 If you ever find yourself in NYC and want an absolutely amazing meal make reservations at Per Se! Trust me it is worth it! We actually had to take one of the dessert courses with us because we were so full. I can even put into words how amazing the food was! Saturday morning Lizzie went to meet one of her friends and I decided to go for a run in Central Park. Our hotel was only 2 blocks away. I wanted to try and get a longer run in since I had been taking it easy most of the week. On Day 364 I managed to logged 12 miles; I looped Central Park and then did an out and back path. There were so many people in the Park, bikers, runners, walkers, horse carriages, there was even a race going on. I really enjoyed the run even though it was a bit chilly. After the run we met a friend of mine for lunch, rested up a bit, had a dinner at supposedly the best falafel cart in NYC according to Yelp! We aren’t so sure about that but it got the job done. 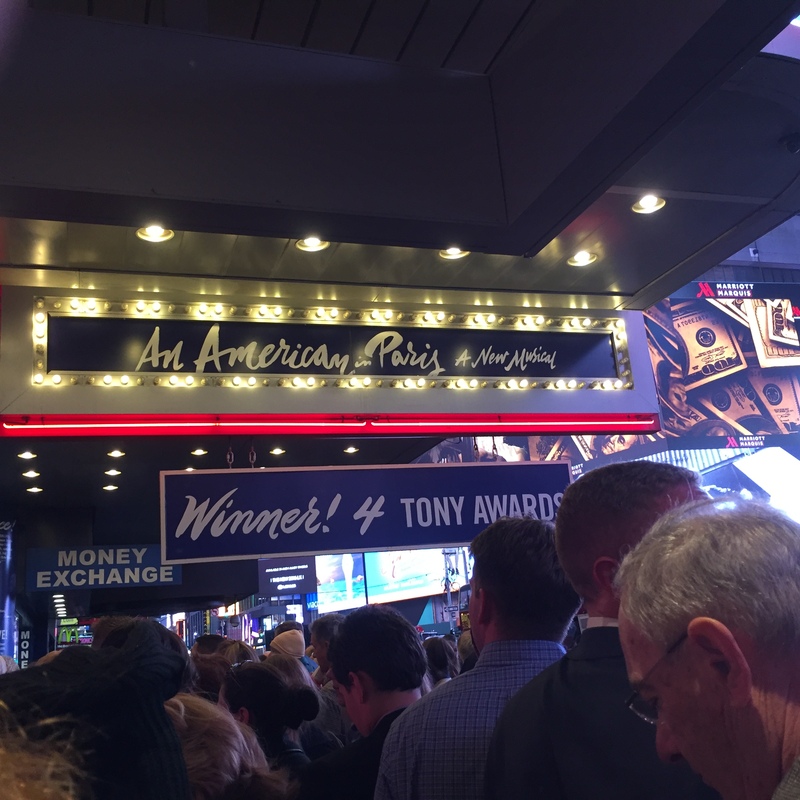 After dinner we made our way to Times Square to see An American in Paris and enjoy wine from a sippy cup! Definitely a highlight! The show was fantastic. Again I would recommend seeing it if you have not and are in NYC. Sunday had arrived, this was day 365. There were plenty of times I thought it wouldn’t get here but it had. 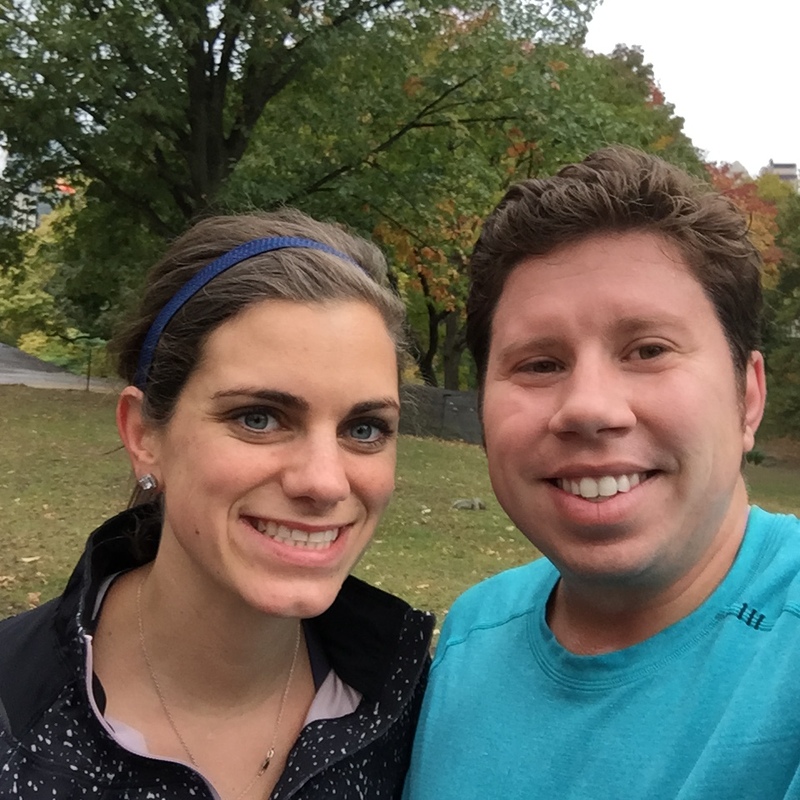 It was gloomy out and a light rain was falling in the city, but it was time to run and weather couldn’t stop us. We left the hotel and started to walk towards Central Park, Lizzie said to me ‘Are we going to walk or run?’ With that we starting running towards the Park. 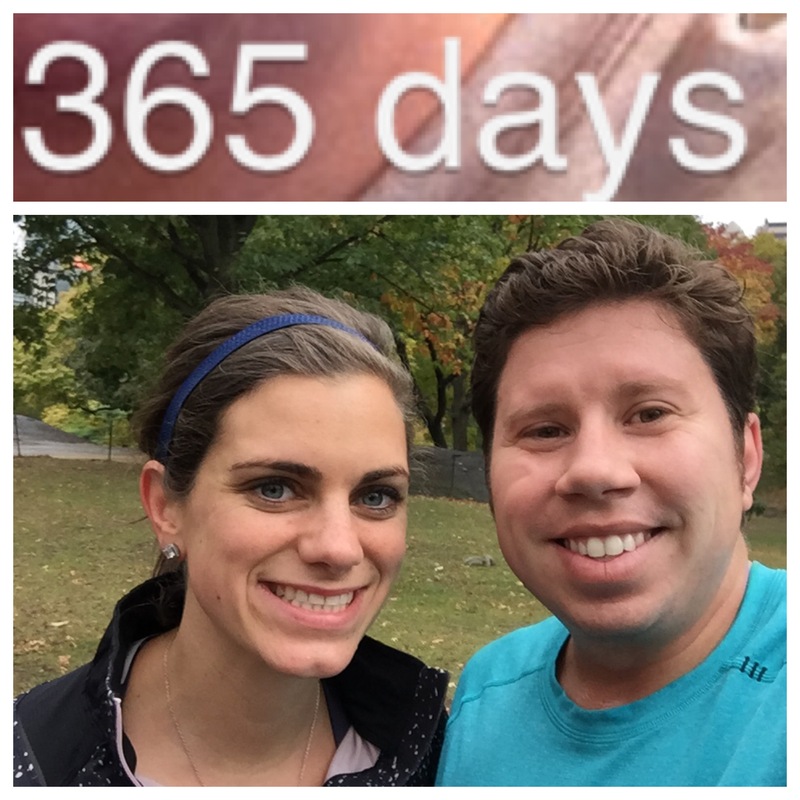 We ran out and back and stopped to take a selfie, just as we had done 365 days ago. Looking back on the streak it was challenging at times, but helped me stay on track and maintain a balance in my life. 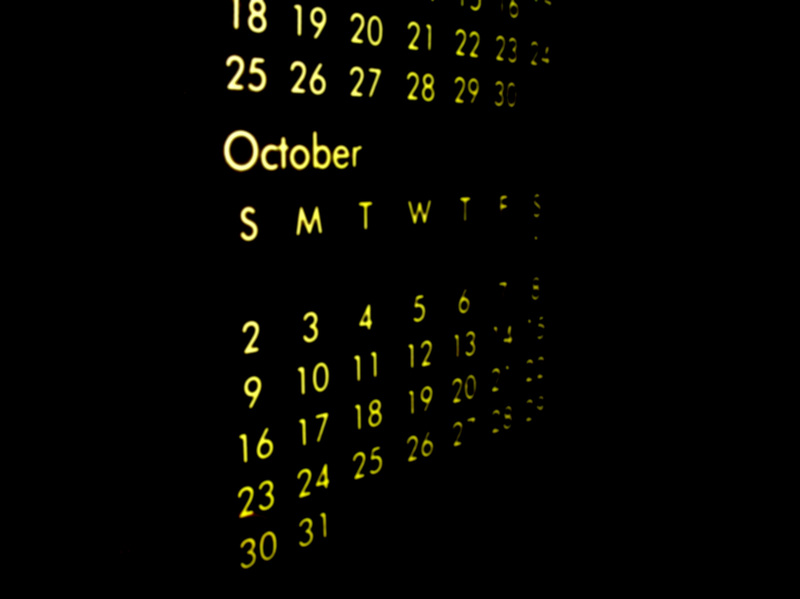 I am sure I will write more about what the streak has meant to me in the future, when I’m ready to share some things. In the meantime I am looking forward to letting my legs rest. If you are wondering did I stop, no, I ran on Day 366. It is Tuesday evening about 2145 hrs; as I begin to write my blog for Thinking Out Loud it feels odd that I haven’t ran today. As I showered tonight I actually thought about running after getting out of the shower, and I’m thinking about running now, but it is late and I am much to tired. Just a few days ago that wouldn’t have stopped me, but today is finally a rest day! 2014, yikes I had gained way to much weight! I’m not going to stop running or training, I decided to try and break 4 hours in the marathon again! 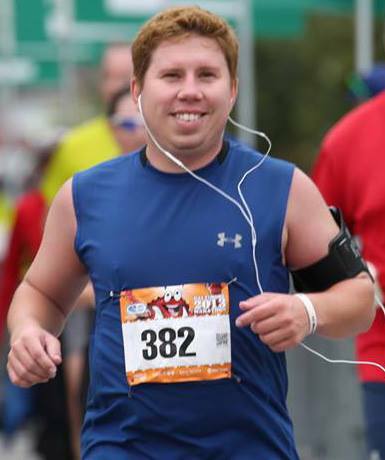 I’m running the Outer Banks Marathon on November 8th. Between now and then I will be training, but with a few more rest days. 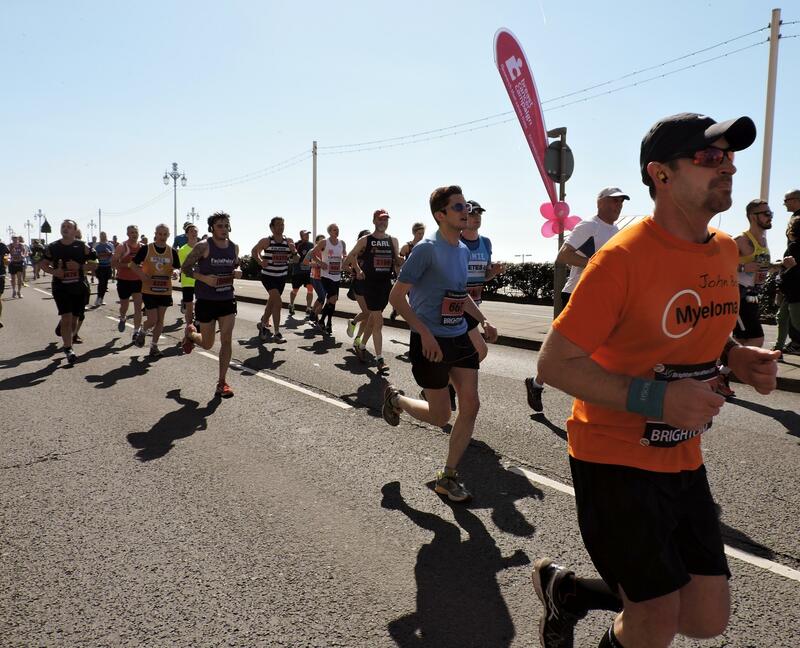 Have you added a race to your season? I left the marathon went home and watched the recap on television and hobbled around most of the day. Hurting more than my legs were my arm pits, they were rubbed raw by the arm warmers I was wearing. That night we had a post-marathon party at my house and some of my run friends were able to make it. Sarah and I could both celebrate that our race season was over and we finished with PR’s! When I woke up the next morning I was starving, but to my surprise able to walk without much pain, just some general soreness. I’m not sure if this is because I stood out in cold for so long after the race that it helped with the swelling or my training paid off; perhaps a combination of both! About mid-day I decided to attempt to keep my run streak alive! I ran a mile and felt pretty good! I’ve ran everyday since the marathon and Wednesday was day #361 of the run streak. Four days to go until 1 year. I will have a lot more to say about my run streak once it is over. I never thought I would make it this far into the streak when I started, I wasn’t even sure I could run 3 days in a row. This weekend a friend and I are going to New York City for the weekend, that is where I began my streak and I thought it would be a good place to finish it. Sunday in Central Park a year of running will come to an end, but it has been a great year that has really helped me focus on not only running but other things as well. I look forward to sharing some of those stories in future Thinking Out Loud updates! 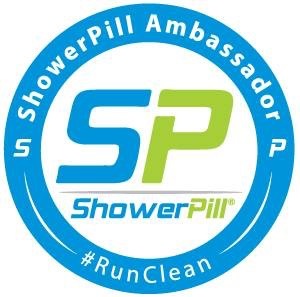 On a completely separate note a few weeks ago I was selected as a Shower Pill Ambassador! 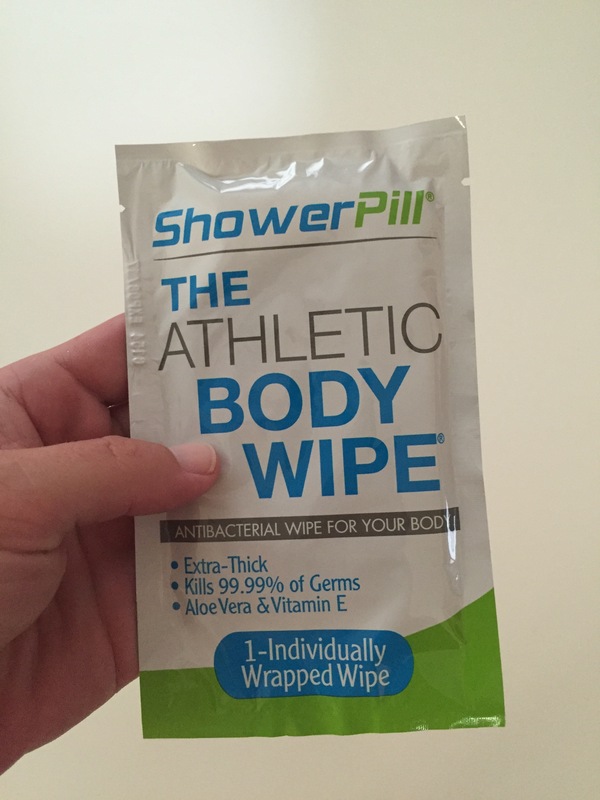 If you haven’t had tried these out before they are great for post-run when you don’t have an option to take a shower. They even work great if you just want a mid-day wake up and refresh. 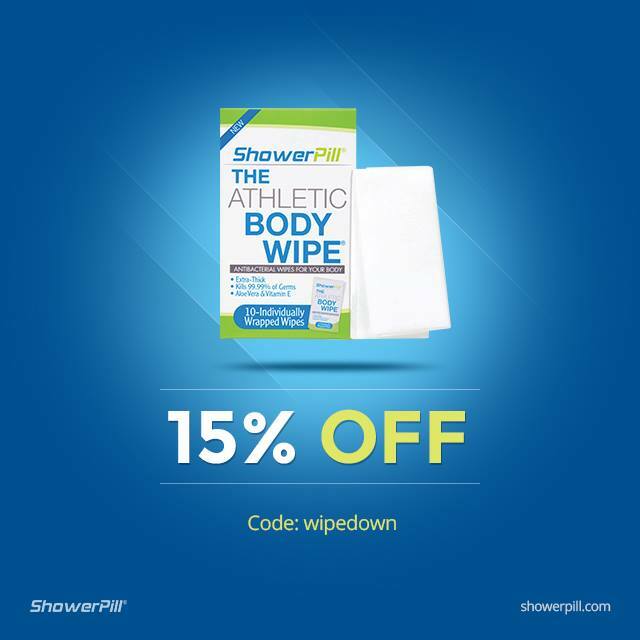 They are athletic wipes you can use to combat, sweat, stink, and the salt build up if you have been going really hard! The sweat life or the salt life? Use my code for a discount! What is your must have gear for a race? How was your race season? My alarm went off at 0400 hrs, thank goodness it wasn’t time to get up just yet. I wake up early to eat and then go back to sleep for a little while before big races. I had an Extend Nutrition bar with some water and went back to sleep until 0530 hrs. A cold front was suppose to have come through overnight and the weather was cooler than it had been the past week, which made for good running conditions. I dressed in the tank top and shorts I had been running in all summer, but put on a winter hat, gloves, and arm warmers since the temp was only in the upper 40’s. I pulled into the parking lot at M&T Bank stadium around 0645, I sat in my truck till 0730 then made my way to the start line, it was cold but I knew I would warm up once I started running. As I waited in the starting corral I went over my game plan in my head; go out slow and try to make up time later in the marathon. A woman came up to me while we were waiting to start and we started to make small talk and introduced each other, her name was Sandy. She noticed my Garmin and asked what pace I planned to run and I explained my plan; she said if it was okay she was going to run with me for a while. I didn’t mind and she said she was hoping to finish under 4:19. This is just another reason why I love the running community, you never know when you are going to meet someone new! The marathon started just after 0800 and we were off, we took the first mile out at around a 9 min pace, right on target, the first few miles were a slight uphill towards the Maryland Zoo. My hat at gloves were gone by mile 2, I threw them off to the side of the road. 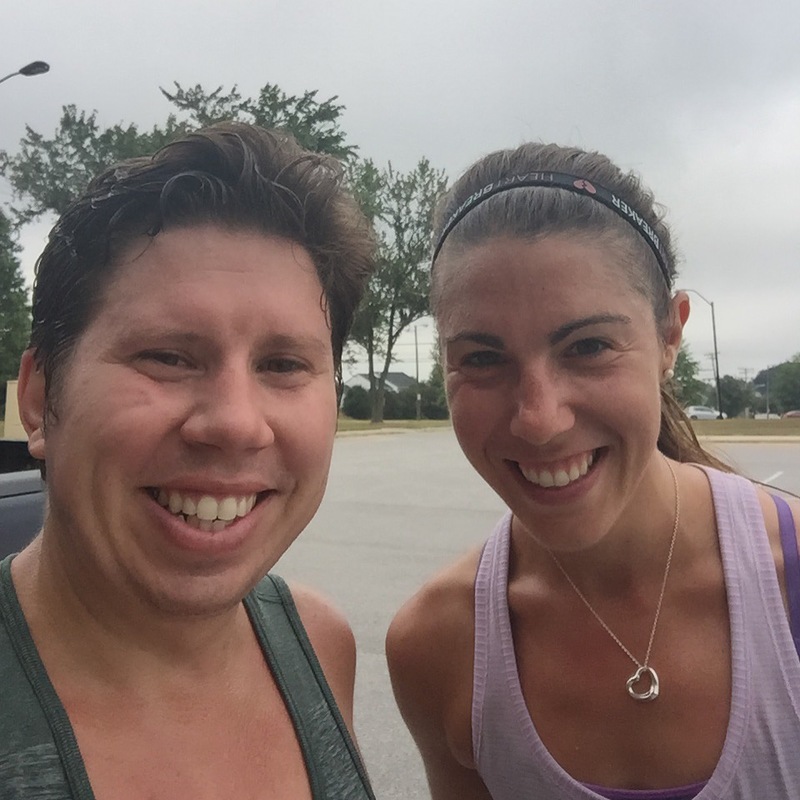 As we ran Sandy and I talked about where we were from, running, and just got to know each other. Our pace quickened a little without either of us really noticing to around an 8:30 pace. That was a little faster than I wanted to go out, but I was feeling comfortable. The first few waters stops were pretty crowded, so crowded only one of us got water, but runners being courteous people, we got enough for each other. As we passed through the Zoo, some of the animals were out to greet us. We saw some penguins; while some runners stopped to take selfies we kept on moving through. Our pace had quickened again and we turned in a sub-8 mile, I knew we had to slow down and bit and we eased off the pace. Sorry for the thumbnail, I’m not paying $65 for 5 photos, waiting for the discount!!! 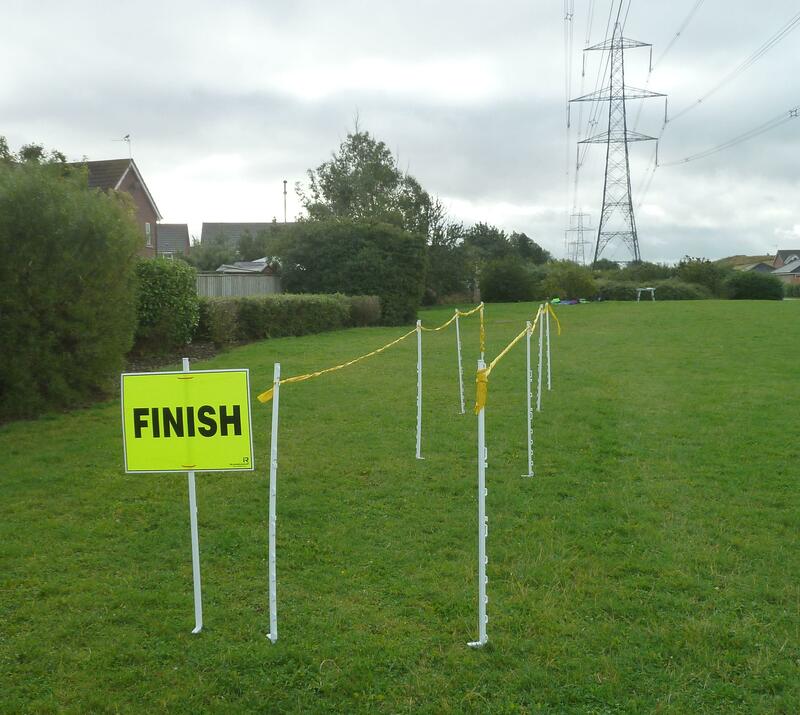 As we left the zoo, the course had a few hills but then flattened out. St. Paul street to the Inner Harbor was downhill, so we could relax a little bit. Running through Harborview we saw some of my friends and I dropped my fuel belt with them. It was getting really lose during the run and was becoming annoying. I took the bloks out and put them in my pocket before dropping it. As we circled the Under Armour factory I really had to pee; Sandy said she would slow down and run along the side of the road so I could catch back up. A tree made a great substitute for the port-a-potty that had a line, hey I wasn’t the only one doing that! To catch up to Sandy I threw down a 7:30 mile, I had a feeling that would come back to hurt me. Passing the 13.1 mile marker, Sandy saw some of her friends. 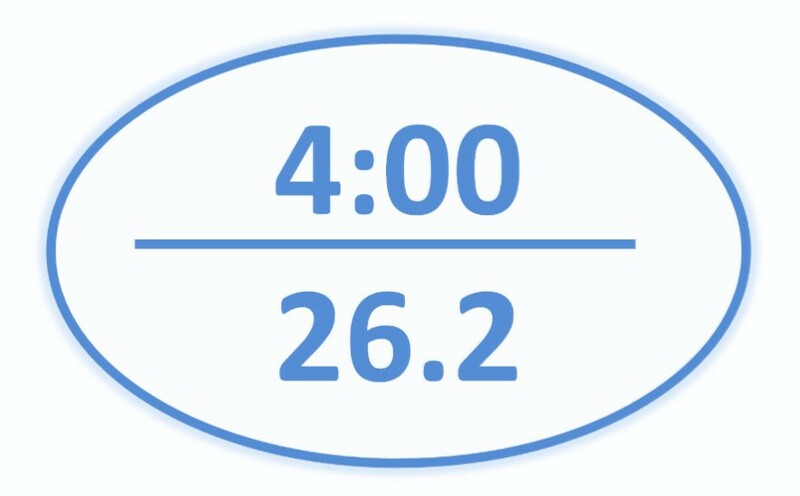 I thought my Garmin said 1:50, but looking at my times on the marathon website it said we ran the first half in 1:54, I could have seen my watch incorrectly. Either way we were making good time maybe a little too fast. I mentioned to Sandy maybe we should slow down a bit, she said we should just keep up the pace. I was still feeling good and we did. Going through Harboreast I saw all the people I know from Lululemon at their cheer station, it was motivating to high five all of them as we went by. Coming out of Harboreast Sandy and I both noticed how quite it had gotten along the course, there weren’t many spectators for the next couple of miles. Approaching mile 16 and Patterson Park I slowed the pace a bit; Sandy kept the pace going and we lost each other in the crowd as the half marathon and marathon merged together. I saw my parents cheering on the sidewalk, which was some more motivation. 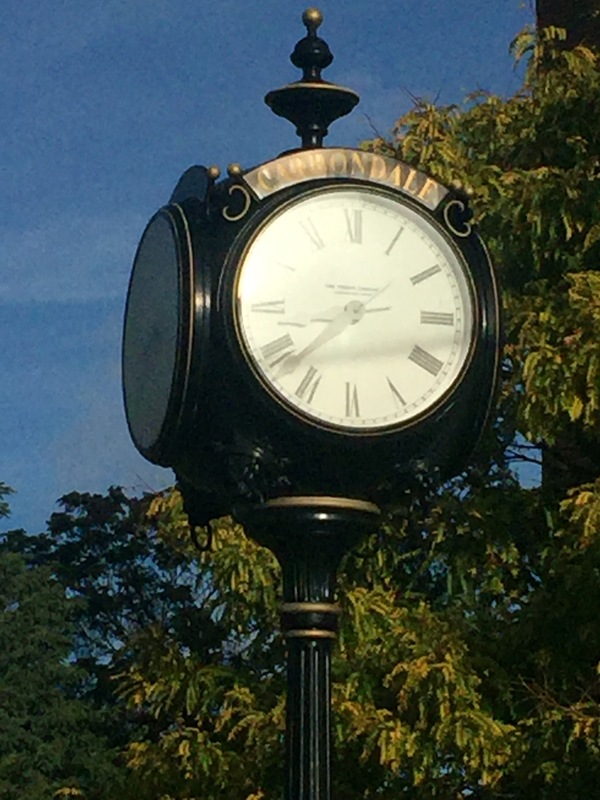 After passing Patterson Park, I didn’t see Sandy anymore and the climb to Lake Montebello started, for the next 4 miles there would be an incline. In mile 18 I lost my steam, someone was handing out full bottles of water and bananas, I grabbed both and walked while I drank the water and ate the banana. 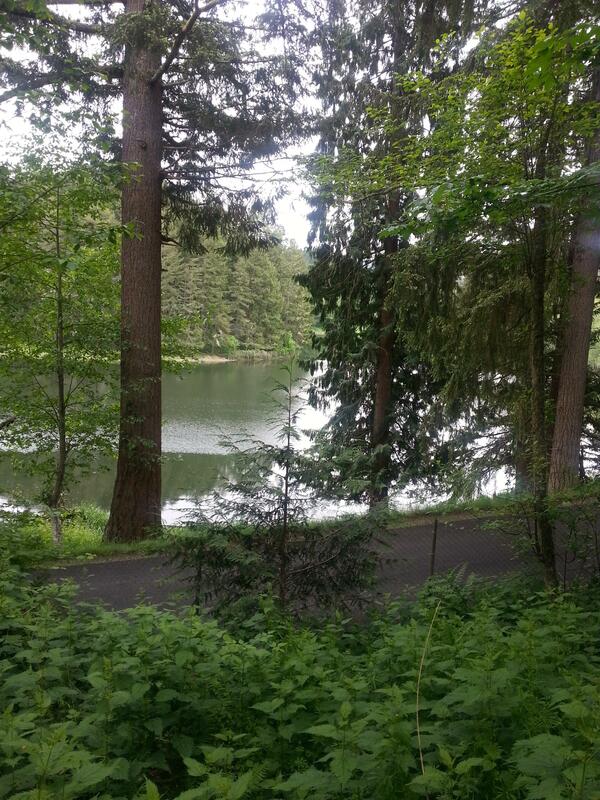 I finally cleared the hills and made it to Lake Montebello at mile 20 I started doing the math in my head of how fast I had to run each mile to make it under 4 hours. Alternating between walking and running I watched the time tick away on my Garmin. Going out faster than I wanted was coming back to haunt me. I tried to find the energy to keep going, my legs were exhausted. Mile 22 was the final incline and it really slowed me down. 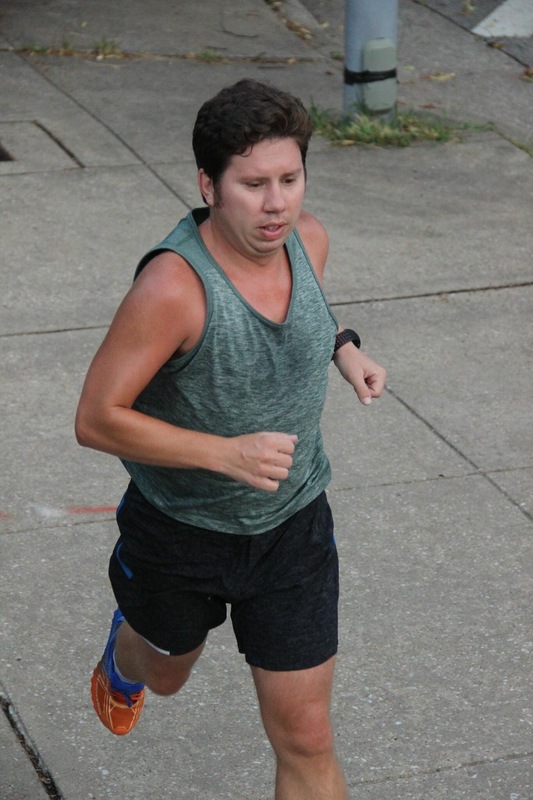 I was going back and forth between 9:20 pace per mile and 11+ min a mile, I was in trouble. At mile 24 I still thought I had a shot at breaking 4 hours, but I would have to throw down two sub-7:30 miles, my legs didn’t have it in them, or my mind wouldn’t let them do their thing. Either way it wasn’t going to happen. Still waiting for the MarathonFoto discount emails! 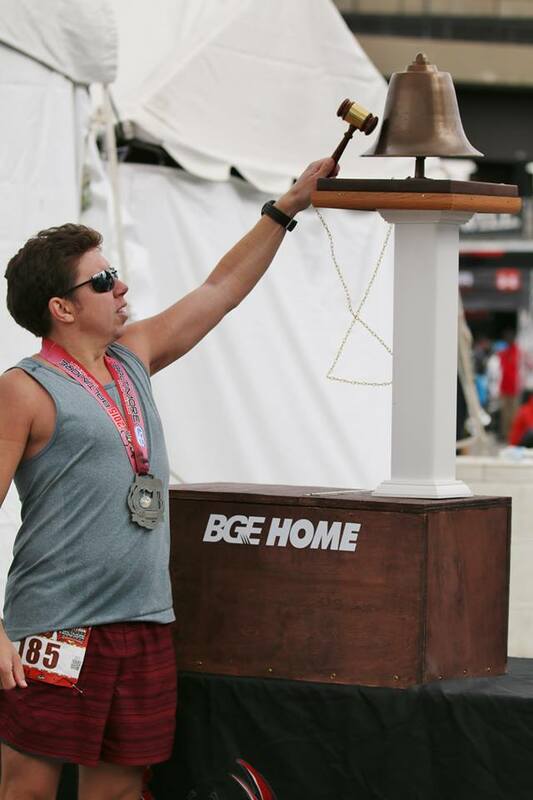 I crossed the finish line at 4:11:16. So close to breaking the 4 hour mark yet so far away. Even though I didn’t break 4 hours I was happy with my time; I PR’d by 32 minutes. I immediately started analyzing the race in my mind and where things went wrong. Then I started thinking about when I can run another marathon and when I could be ready. I made my way over to get a foil blanket, I was freezing, I had tossed my hat and gloves a long time ago and the temp dropped after that. 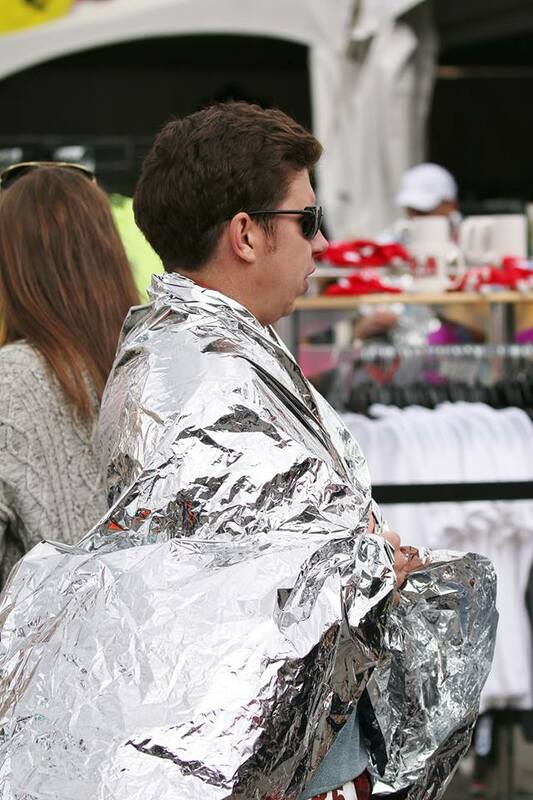 I finally got a foil blanket, met my parents, and got my jacket from them but I could not get warm. I think it was in the low 40’s or upper 30’s by this point. We took some pictures and stood in line for a while to get my Maryland Double Medal and King Crab Challenge medal holder, in total I was outside for about an hour and shivering the entire time. I did get to ring the PR Bell!!! Everyone before me went up got there picture and struck the bell once, after my mom took the picture I struck the hell out that bell several times!!! Waiting around the finish area I looked for Sandy but didn’t see her anywhere, we actually connected later in the day and caught up a bit, she finished in 4:01:40 a PR for her as well. When I finally made it to my truck I was so happy to be able to turn the heat on and get warm. 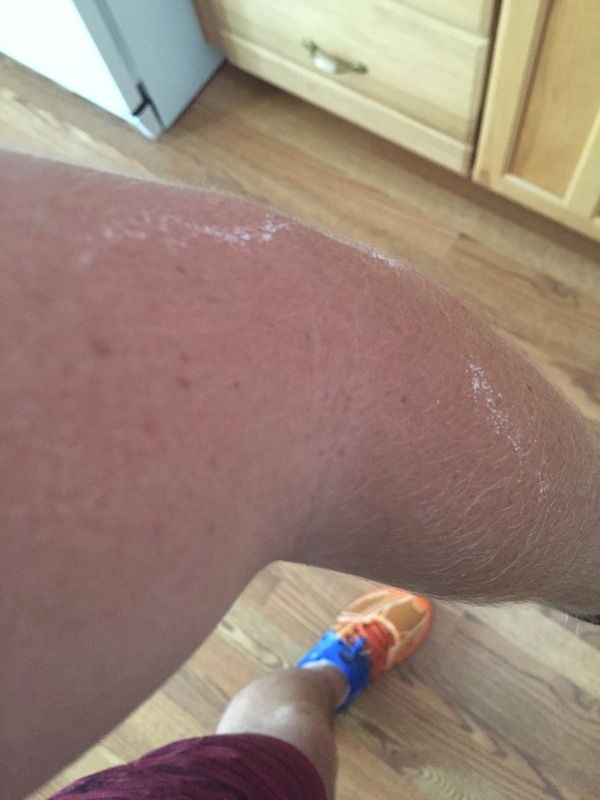 The warm shower felt great once I was home, except on my arm pits, the arm warmers had rubbed my arms raw, really raw. 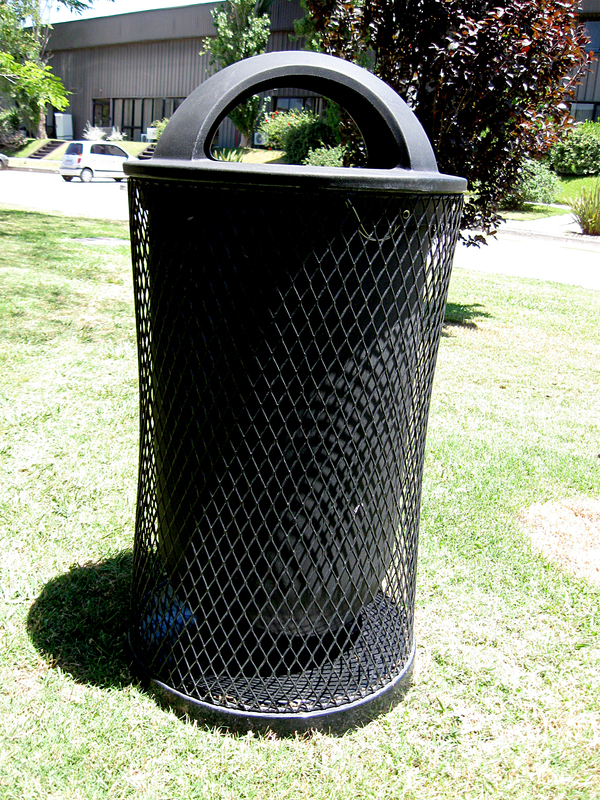 I continued to analyze the marathon in my head for the rest of the day and watched it on television. I had recorded it. That night the tradition of the marathon party continued, it was smaller than usual, but still a good time! I have continued to think about what I could have done differently over the last few days and will probably do that for a while. I am looking at doing a half marathon soon, but will probably wait until the spring to tackle another marathon. How was your race season? What are your goals before the end of the year? 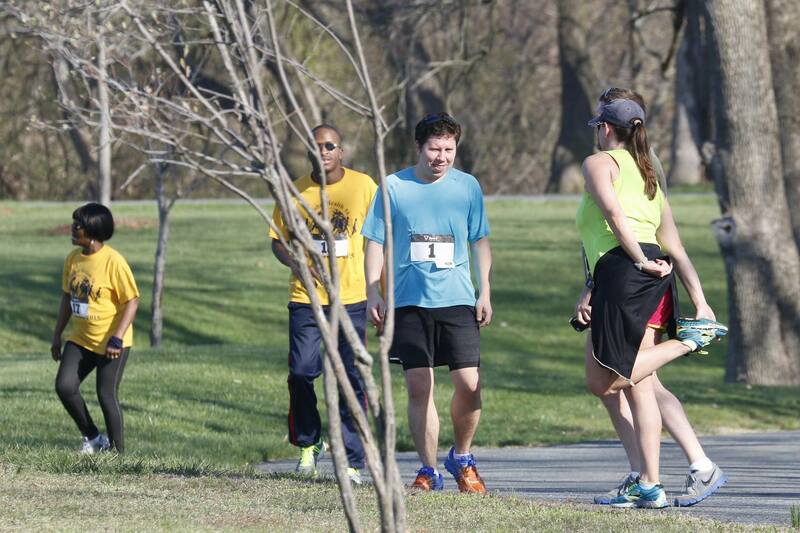 If you are reading this on Saturday morning, I am out running around the great city of Baltimore! 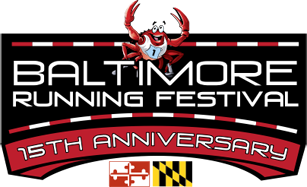 Race Day has arrived and I have returned to the Baltimore Running Festival after taking a break last year. I haven’t ran a marathon in two years and the last one was a very poor performance, I ran without training. This time I am prepared and as ready as I can be. During the last four months I have logged lots of miles with lots of great people. To be more exact during my training I have run 470.81 miles since July. I cut back on some training runs but I’m hoping I put in enough to get my goal time, under 4 hours. 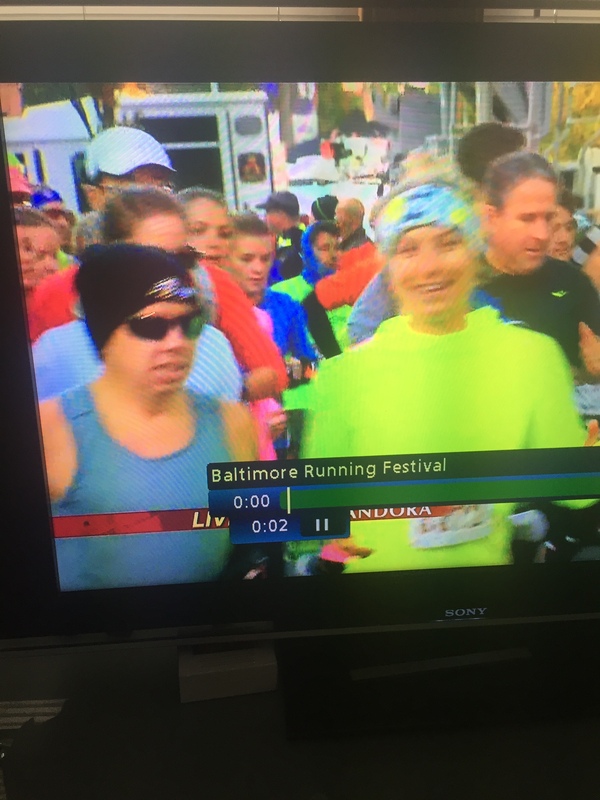 The first time I ran the Baltimore Marathon was in 2012. I wasn’t as prepared as I should have been and didn’t take training serious until about six weeks before the race. 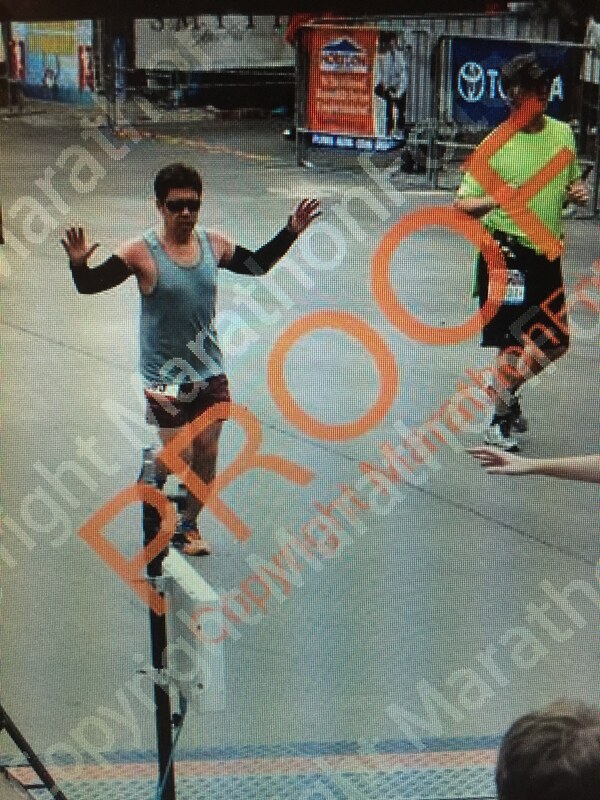 Once I hit the wall around mile 18 things sort of fell apart, but I was happy to finish my first marathon. No, I didn’t grow an extra hand, just some photo cropping. In 2013 I had signed up for the marathon almost 10 months in advance, by the time October came I was burned out from the previous year of running. I had run something like 15 races that year and had sort of lost interest in training. I had thought about dropping out but all my friends I had been running with were running so I did to. What a horrible idea! By mile 12 I had enough of the marathon and wanted to quit, but finished anyway. Let’s just say the finish line was pretty empty by the time I got there. But it was an awesome party at my house afterwards!!! I don’t listen to music and run anymore. I’ve also come to the conclusion I was never meant to have blonde hair…long story. 2014 I pretty much gave up running all together. I still went to run club and ran but it was sporadic. I dropped out of a marathon in May, I knew I wasn’t ready so I withdrew about 3 weeks before. 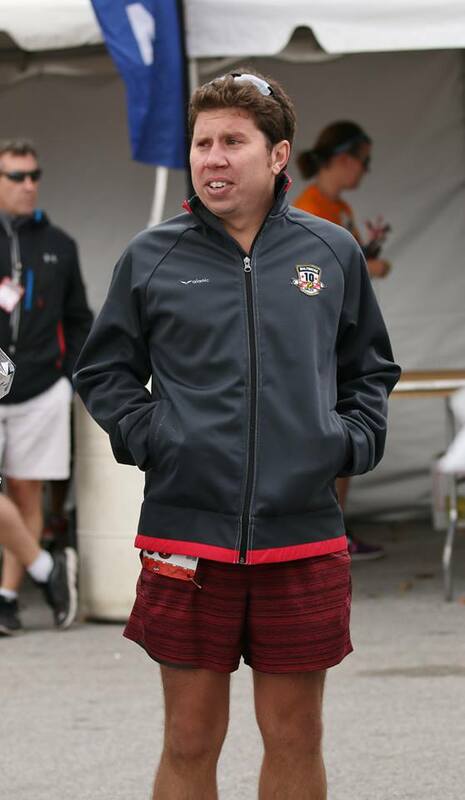 I only ran a couple of races that year and knew running at Baltimore wasn’t going to happen. 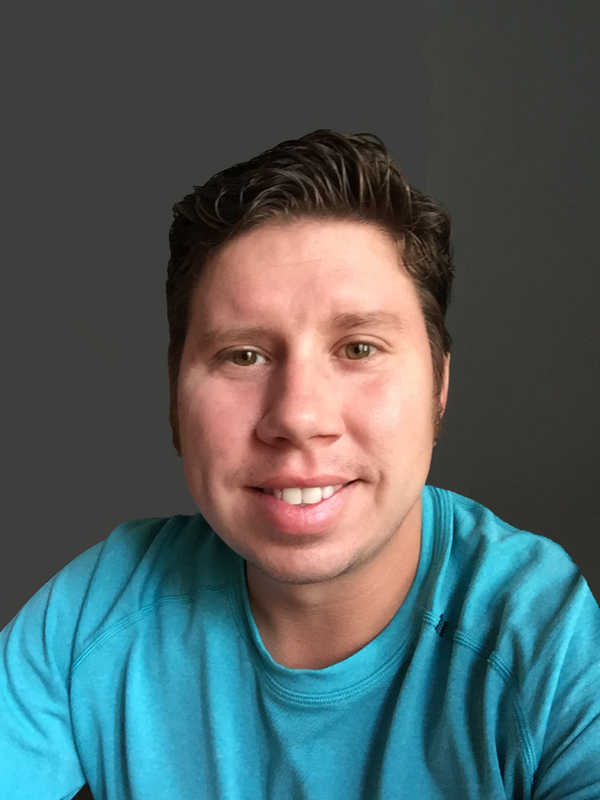 If you have been reading my blog you know what 2015 has been like for me! 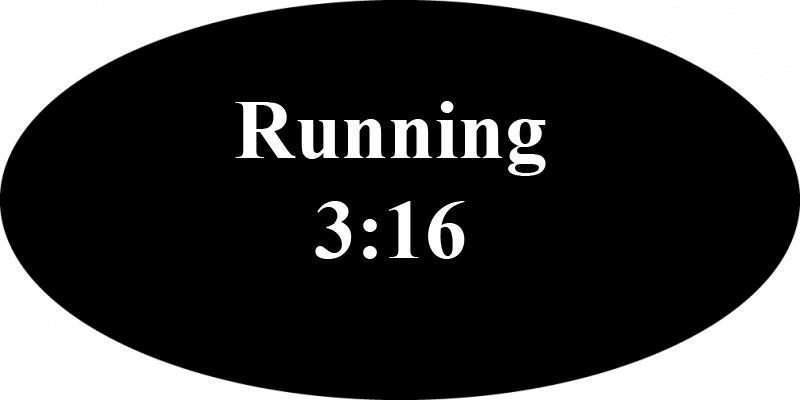 I’m feeling good, my body is strong, other than some minor aches; I am ready to run the Baltimore Marathon for the 3rd time! (4th marathon total). I’m hoping this is my year. Hoping the third time is a charm, in Charm City! As I ‘toe the line’ tomorrow, okay let’s be real I’ll be in the middle of the crowd somewhere, it will be sort of odd. 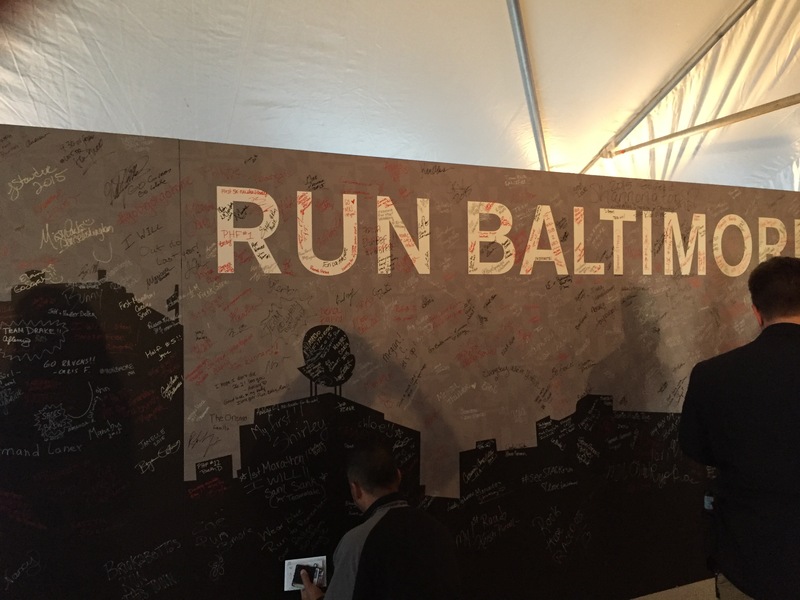 It will be the first time in Baltimore I’m not running with anyone I know. All of my friends have finished their marathons! I’m sort of jealous. I have a game plan in my head and just need to stick to it tomorrow. 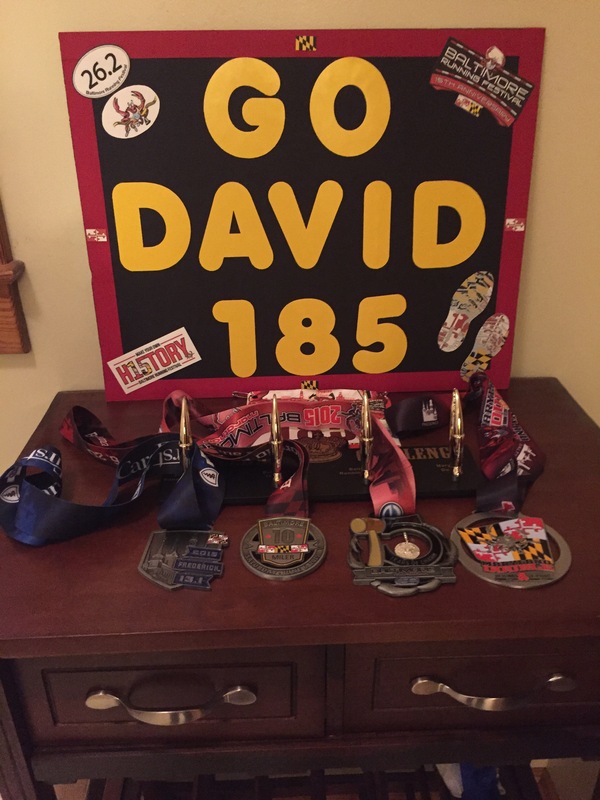 I’m sure lots will be going through my mind tomorrow as I run the streets of Baltimore and I am sure I will reflect a lot on the past marathons, training, and the people who have helped my prepare for the race. I’m looking forward to sharing more thoughts after the race and hopefully being able to share a story of a PR! What pushes you to run? I now look forward to Thursdays and Thinking Out Loud, even if I don’t get to post every Thursday! 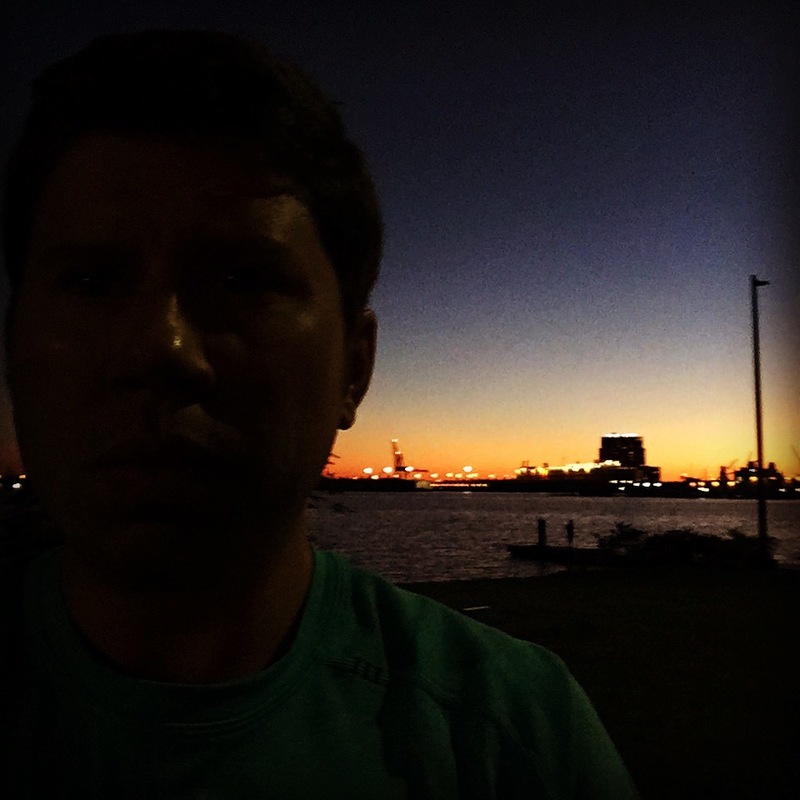 For those of you who are regular readers of the blog you may have noticed I haven’t posted any training updates for the Baltimore Marathon. Not to worry, I completed Week 16 and 17 of the training plan, the run streak is alive, and I am ‘enjoying’ taper week. 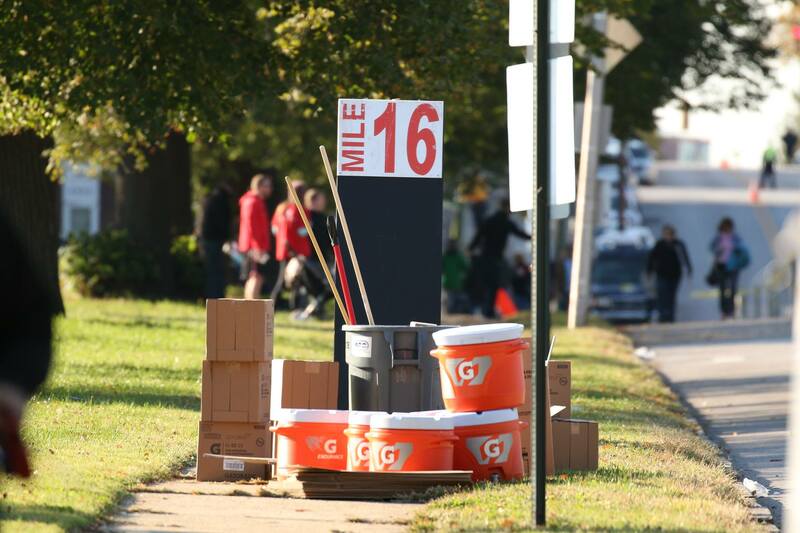 The Baltimore Marathon is Saturday. I’ve been running for 354 days straight and training for the marathon for the last 4 months according to the Hal Higdon Training plan. That training culminates on Saturday. The last few months I’ve had many nights were I’ve lost some sleep thinking about the marathon and if I will be able to complete it in…under 4 hours. Final 8 Mile Run, with a fast 5k to finish! I feel prepared! I’ve never trained harder for a marathon! 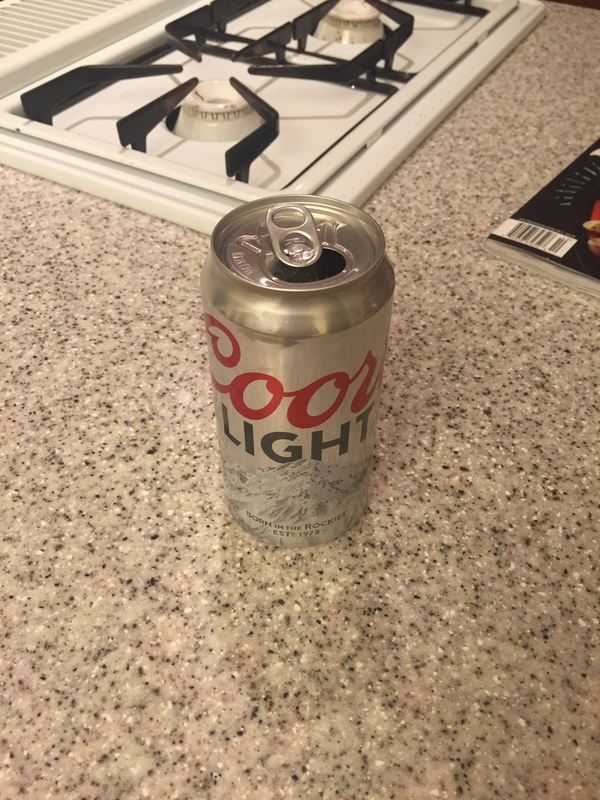 Now it is time to hydrate, carbo-load, and run! 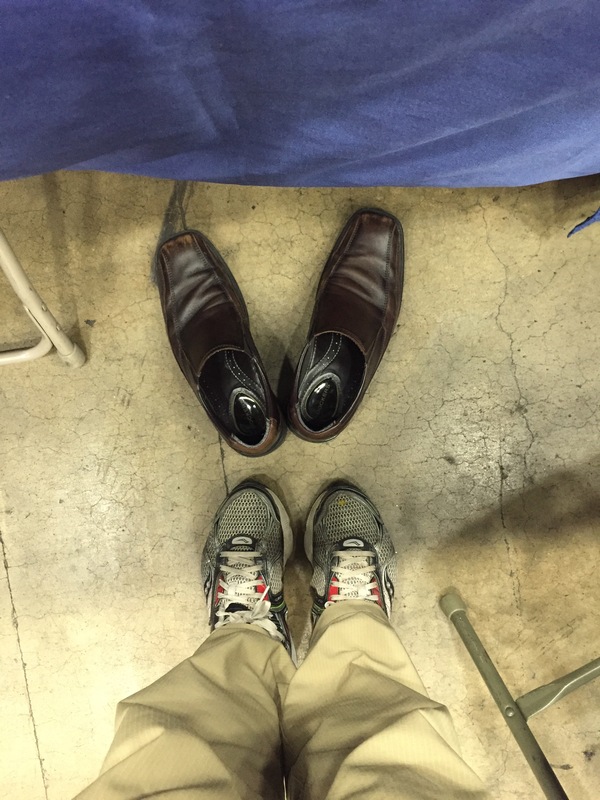 Trying to keep my feet rested while standing at work! I will have much more to say about the marathon on Saturday, so check back! 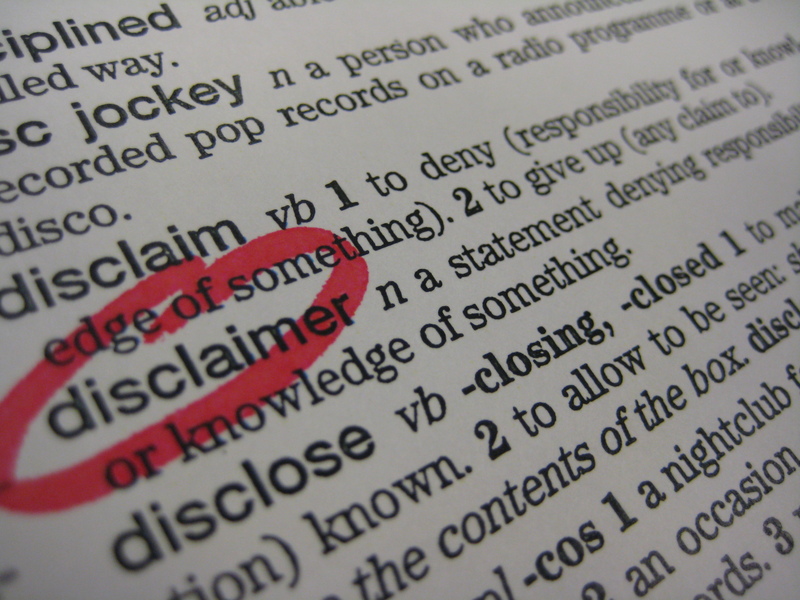 Not a very exciting blog post this week. 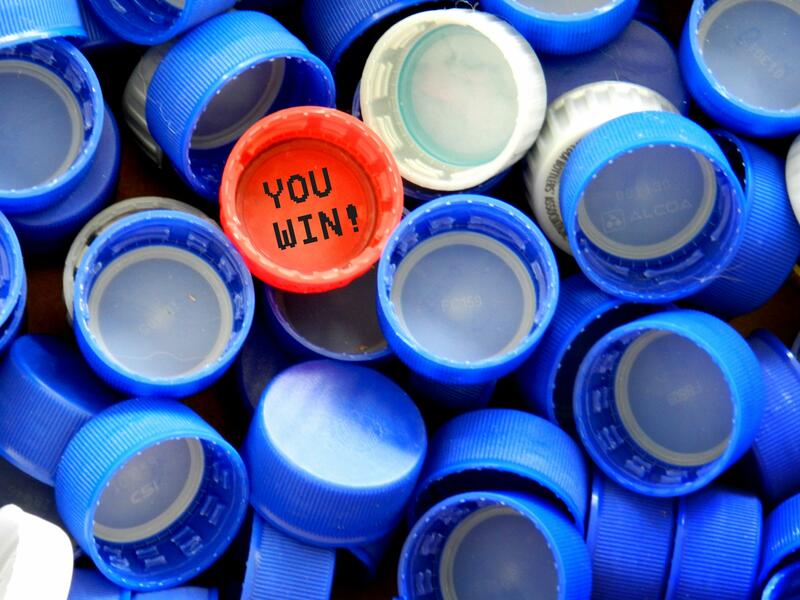 Is your race season over, how was it?